Daybreak Games announced on August 24th that the original incarnation of H1Z1, currently known as Just Survive, will be shutting down on October 24th. Polygon has as clear a history as I’ve read on the H1Z1 saga but basically it started in Early Access in 2015 following the footsteps of Day Z. Then on the heels of Playerunknown’s Battlegrounds (and with the help of Playerunknown himself), the game split and relaunched as H1Z1: Just Survive and H1Z1: Battle Royale. Just Survive was part of our first Early Access project, and we learned a great deal during its development. As with any open world game, the greatest stories came from our passionate players. From the incredibly skilled base builders to the free-ranging gangs, and all of the players named variations of “ImFriendly” and “PleaseDontShootMe”, we hope everyone had amazing adventures across Pleasant Valley and Badwater Canyon. Thank you for taking the time to play the game, to help test it when we opened the Test servers to the public, and for all of the suggestions and feedback throughout Early Access. We truly appreciate everyone’s commitment and your contributions throughout the development process. Our promise is to do better and learn from every experience along the way. Just Survive servers will remain available for play until Wednesday, October 24 at 11 a.m. PT, and starting immediately all Steam purchases and in-game transactions have been disabled. To find out if you are eligible for a refund via Steam, please visit this link. Thank you again for your support and dedication to Just Survive. I’ll have the date added to the Watch List calendar and a page up for the game soon. “In order to deliver the highest quality experience to our players, we will focus our resources on further optimizing the game for PlayStation 4. While there is still time to continue exploring DCUO on the PS3, we want to give you advanced notice so you can prepare for these future changes. January 2018 will mark seven years that the game was available on PlayStation 3. 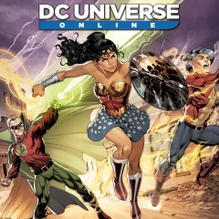 From its retail launch on disc in January of 2011 to its digital release in March and its pivot to free-to-play by year’s end, DCUO has survived quite a bit of marketplace upheaval. With DC in its best consumer position since the 80’s there may even be more years ahead of the game than behind it, just not on PlayStation 3. The Watch List calendar has been updated and a page with the details on the PlayStation 3 version will be added soon. Daybreak Game Company announced on Thursday that they will be shutting down Landmark, the sandbox MMO counterpart and successor to EverQuest Next, on February 21st, 2017. The game has been delisted from Steam and is no longer available to buy from the Landmark site but current players may continue logging in until the 21st. Players can no longer list items for sale and all existing items with a Daybreak Cash price will be reduced to 1 DBC. It’s a small consolation but players should be able to check out any items they’ve had their eye on with the new baseline price. Along with the game, Daybreak will be shutting down Landmark’s forums and social media channels no later than 4:00pm PST on the 21st of February. A pre-emptive FAQ entry also rules out the possibility of fan-supported servers.